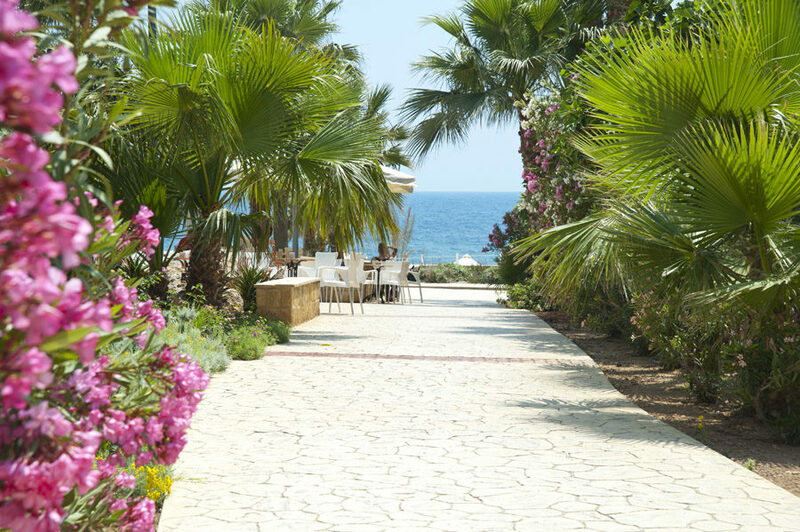 With beautiful golden shores as one of its closest neighbours, Akti Beach Village Resort is nestled in the Cyprus resort of Paphos. This family-friendly hotel resort offers an abundance of facilities, leisure amenities, delicious dining options, and the ideal location for tranquillity with the opportunity to explore the resort at leisure. Soak up the summer sunshine on a sunbed or, if you're a shade-lover, then escape under a parasol with your favourite book. Take a dip in the Jacuzzi or pop into the sauna to unwind. Pamper yourself in the spa treatment room with a relaxing massage to ease tension and help you relax. Challenge your family to a game on the tennis court or a go on the billiards table. After a day of resting by the pool, return to your bright and stylish guest accommodation. Take a walk out onto the balcony or patio to admire idyllic views with a hot drink in-hand to re-energise, made with the tea/coffee facilities. Keep in touch with home using the Wi-Fi access or switch on your satellite TV to catch up with the news. Start your day with a rich-in-flavour breakfast at the buffet restaurant, including delicious fresh fruit, cereal, bread, and so many more appetising options. Dine poolside with a helping of generous food and drink options from the pool bar. Settle into the evening with a delicious cocktail or ice-cold beer at the bar as you make new holiday friends. 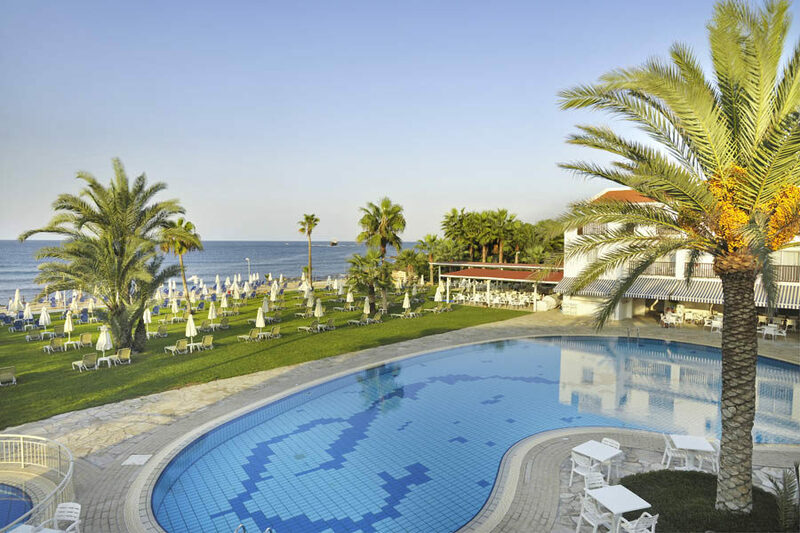 Discover why Akti Beach Village Resort is a popular place to stay for Cyprus holidays. Akti Beach Village Resort offers plentiful facilities, including: two outdoor swimming pools, children's swimming pool, indoor swimming pool, sun beds and parasols, two restaurants, two bars, Jacuzzi, sauna, steam bath, spa treatment room, fitness centre, tennis court, garden, billiards table, gift shop, complimentary Wi-Fi access, 24-hour reception, shuttle service, and multilingual staff. 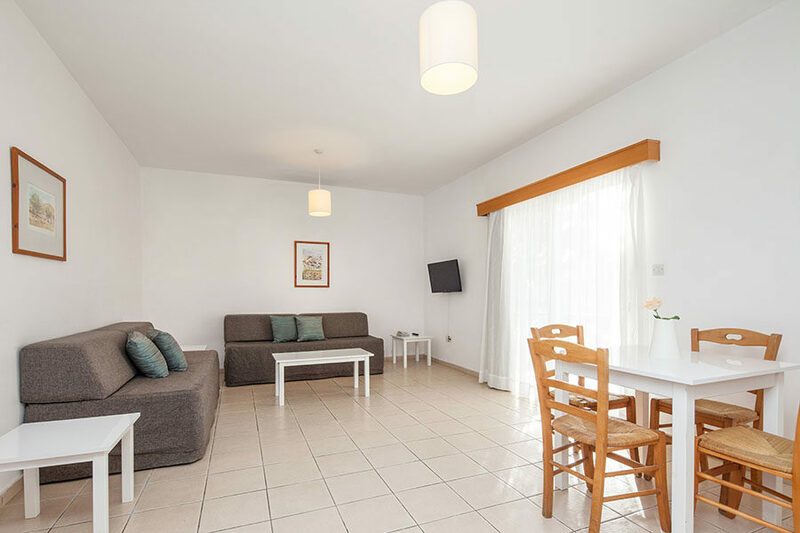 This Paphos hotel has a total of 173 spacious and well-equipped guest spaces, comprising Studio Apartments, One Bedroom Apartments, and Two Bedroom Apartments. 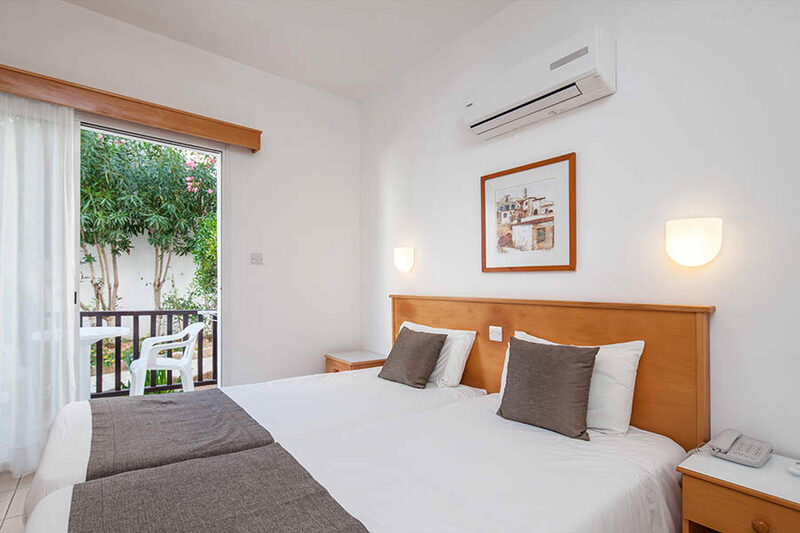 Studio Apartments feature two single beds, a balcony or patio, bathroom with bathtub, complimentary Wi-Fi access, air-conditioning, satellite TV, toiletries, hair dryer, safe, telephone, kitchenette, and coffee/tea maker. Filoxeni Restaurant is your go-to for rich buffet breakfasts and authentic themed night dinners. Dine outside or inside as you appreciate a mix of flavours from all around the world. 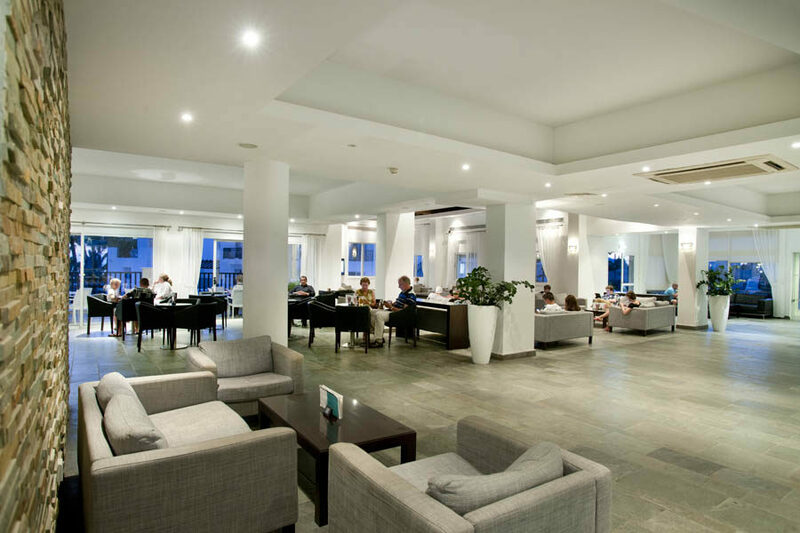 Pelagos Pool Bar & Restaurant is located by the water's edge; making it easy for you to grab a light snack or drink. Alternatively, pull up a seat in the shade for a sit-down meal. 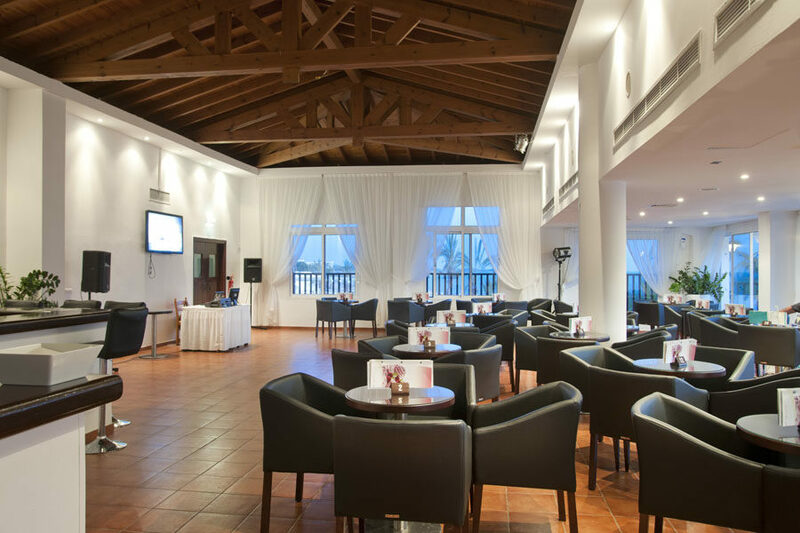 Serina Cocktail Bar is located in the lobby area and is the social hub of the hotel; mingle with fellow guests over a martini or ice-cold beer.